His photography has been represented in several permanent collections, including those at the Harry S. Truman Presidential Library & Museum and the John F. Kennedy Presidential Library & Museum. BOSTON, MA, October 05, 2018 — Marquis Who's Who, the world's premier publisher of biographical profiles, is proud to present James R. Holland, Sr. with the Albert Nelson Marquis Lifetime Achievement Award. An accomplished listee, Mr. Holland celebrates many years' experience in his professional network, and has been noted for achievements, leadership qualities, and the credentials and successes he has accrued in his field. As in all Marquis Who's Who biographical volumes, individuals profiled are selected on the basis of current reference value. Factors such as position, noteworthy accomplishments, visibility, and prominence in a field are all taken into account during the selection process. With more than 50 years of industry experience, Mr. Holland has worked as the president of A Bit of Boston Real Estate, Inc. since 1982. Prior to this appointment, he held the position of real estate broker for Street & Company from 1978 to 1982 and both real estate developer and president for Brownstone Properties, Inc. from 1975 to 1977. Previously, he served the Christian Science Center in Boston, MA, as a film producer from 1969 to 1974. Mr. Holland began his career with the National Geographic Society as a photography intern in 1966 and a contract photographer for National Geographic magazine from 1967 to 1968. Before embarking on his professional path, Mr. Holland pursued an education at Principia College, completing coursework from 1962 to 1964. He continued his academic efforts in 1966 at Ohio University, graduating with a Bachelor of Fine Arts. He concluded his studies that same year with postgraduate coursework at the Missouri School of Journalism. Following these accomplishments, Mr. Holland became licensed as a real estate broker. Beyond his responsibilities within the field, Mr. Holland has participated in numerous endeavors in his community. 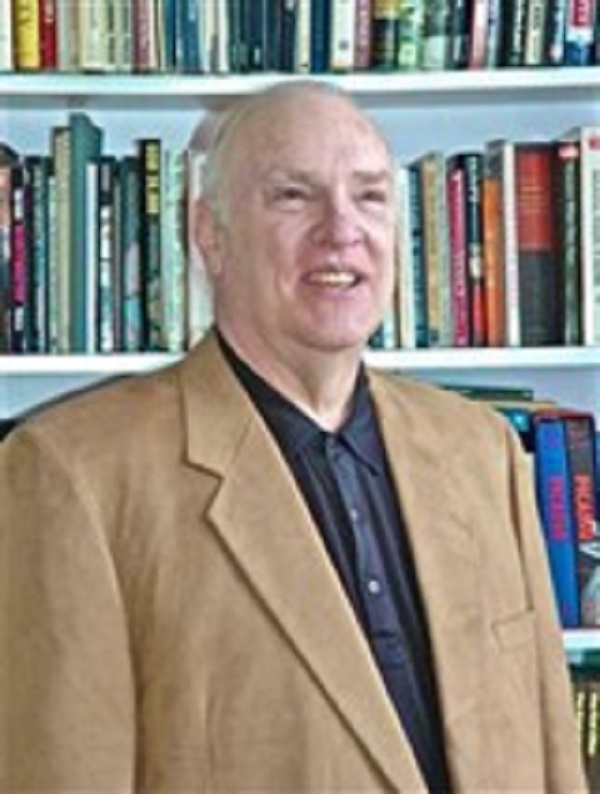 He has contributed to the Small Property Owners Association since 2000, the Neighborhood Association of the Back Bay since 1972, and the Boston Home and Property Owners Association. He has further held the role of league sponsor for the Back Bay, Beacon Hill, and North End Little League Teams from 1999 to 2009, team sponsor for the Babe Ruth League, Inc., from 1992 to 2002, and associate of the Boston Public Library. Mr. Holland has also been on the 10th Anniversary Committee for the Photographic Resource Center at Boston University. Furthermore, Mr. Holland was the coauthor of “Photojournalism: Principles and Practices” in 1980, an illustrator and photographer for “Continental and Colonial Currency of Colonial America,” and a contributor of articles and photographs to publications, video games, and textbooks. His photography has been represented in several permanent collections, including those at the Harry S. Truman Presidential Library & Museum, the John F. Kennedy Presidential Library & Museum, the Boston Public Library, Principia College, and Ohio University. Featured in “A Conversation with a Boston Collector on Picasso, Shunga, Dali, and Much More” with Shunga Gallery in 2018, he was a guest in various radio interviews, a reviewer for Basil & Spice, a producer for Twinkle Toes Videos, and a columnist for the McClatchy-Tribune News Service. In addition to his primary trade, Mr. Holland remains affiliated with various organizations in relation to his areas of expertise. He has been active with the Griffin Museum of Photography, the Photographic Resource Center at Boston University, the National Press Photographers Association, and the American Society of Media Photographers. He was a member of the North America Sport Karate Association and the Samuel Fletcher and Angeline Drury Society. Mr. Holland is a lifetime member of the Friends of the Beverly Hills Public Library, the Boston Athenaeum, the Air and Military Museum of the Ozarks, and the Dickerson Park Zoo. In light of his exceptional undertakings, Mr. Holland has accrued several accolades and honors throughout his impressive career. He has been presented with an Award from the National Press Photographers Association from 1966 to 1968, the Competition Award from World Press Photo in 1967, the Film Award from the National Newsweek-Bolex Documentary Film Contest in 1969, an Individual Photography Film Competition Award in 1970, and a Personal Library Award from Ohio University. He has also obtained a Bronze Medal from the New York International Film and Television Festival in 1971, various awards from the North America Sport Karate Association, myriad awards for his hardcover books, and both the Eric Hoffer Excellence Award and the Next Generation Indie Book Award from USA Book News in 2008 and 2009. With his film work broadcasted on NBC, ABC, CBS, PBS, BBC, and the Travel Channel, he was recognized as the Sixth Nationally Ranked in Weapon's Form from the Reeves Sport Karate Ratings in 1989, the National Karate Champion by the Amateur Athletic Union in 1989, a Finalist for Children's Picture Book, Paperback Non-Fiction, by the USA Book News in 2007, and among Amazon's Top 500 Reviewers from 2007 to 2010. Mr. Holland was selected for inclusion in many editions of Who's Who in Finance and Business, Who's Who in America, Who's Who in the East, and Who's Who in the World. In recognition of outstanding contributions to his profession and the Marquis Who's Who community, Mr. Holland has been featured on the Albert Nelson Marquis Lifetime Achievement website. Please visit www.ltachievers.com for more information about this honor.